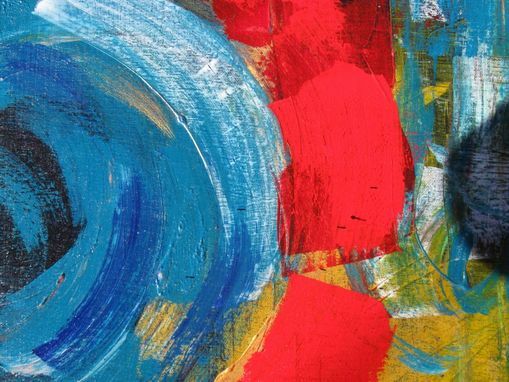 This expressionist abstract is an original acrylic painting. 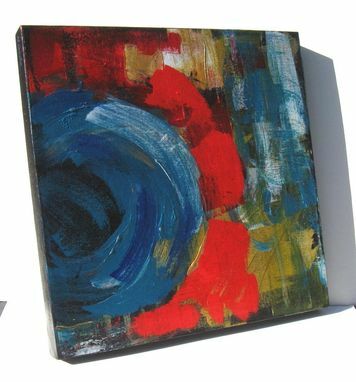 Painted in beautiful shades of reds and blues this wonderfully dramatic painting would be a stunning spot of color for any decor. 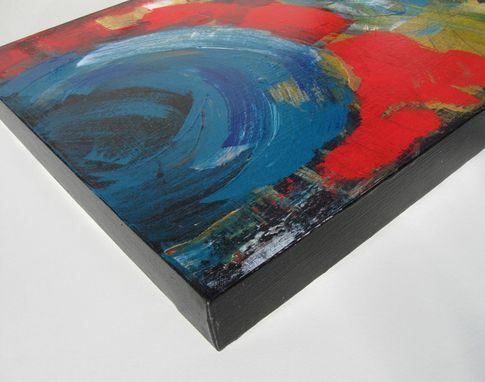 Touches of metallic gold subdues the contrast from the other bold hues. 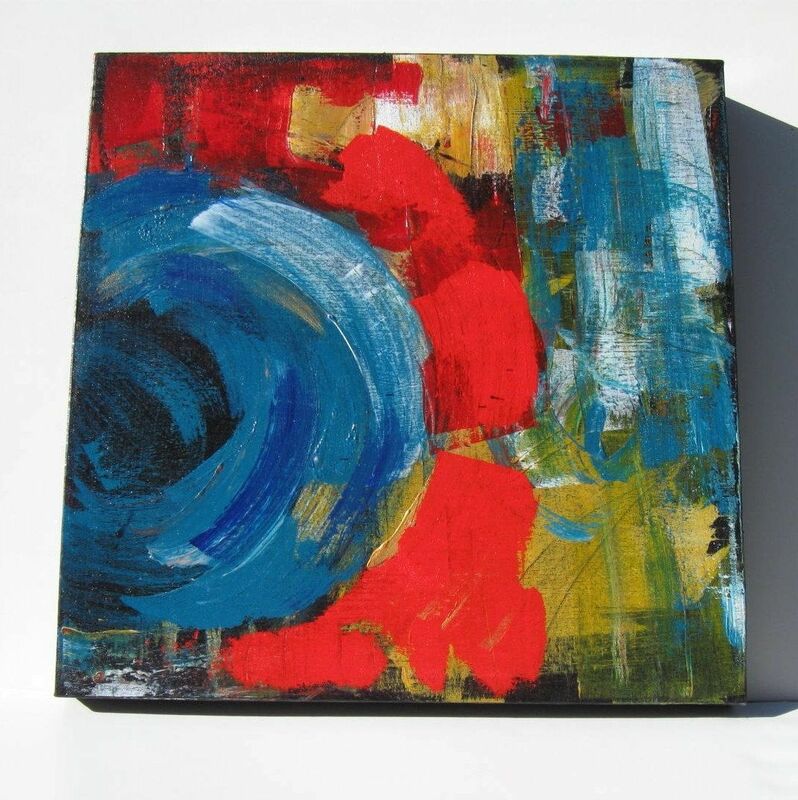 Bright and colorful, this modern abstract painting is on an 18"x18" x 1 1/2 gallery wrapped canvas. Urban, contemporary style, titled "Blue Circle".